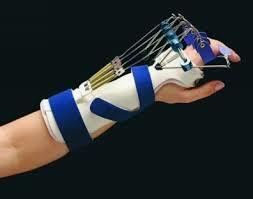 Due to the multiple structures in the hand special splints and exercises are required in many situations. Hand therapy is a sub specialist discipline of both physiotherapy and occupational therapy. Experienced therapists are very important in achieving good outcomes from complex hand therapy. Adelaide Plastic and Hand Surgery works closely with very experienced hand therapists to achieve the best outcomes for complex patients. Not all hand surgery requires therapy and any need to have further therapy in your particular case will be discussed with you at your appointment.